The amount of online fashion shops and websites is so vast, I love discovering new ones and 9 times out of 10 prefer shopping online. Online convenience seems to have overtaken the fashion retail market somewhat and could define shopping in the future. Recently I've discovered romwe.com who sell amazing clothing which is updated regularly AND they offer FREE delivery AND you get 20% off your first order, what more could you ask for? I definitely recommend you check it out! They stood out to me because of their quirky leggings! There's so much to sift through on the website but I love it so I'm going to place an order with them later on but here's a quick wishlist I mustered up to give you an insight to what the website's like. 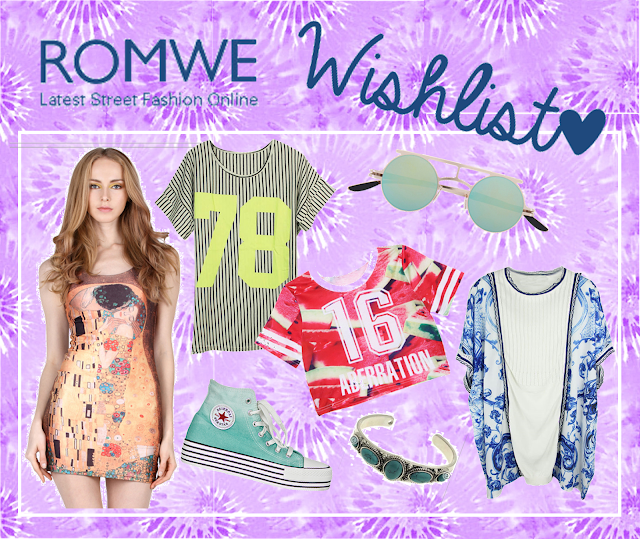 Amazing wishlist... I like the sunglasses and the porcelain t-shirt! Check out my blog... and what do you think... do you wanna follow each other?